No matter the size of your business, managing the state of your IT infrastructure is absolutely crucial. Especially in the early growth stages of a business, where we need to be scrappy and find cost effective ways to make things work, IT can easily get forgotten or overlooked. In 2017, technology has become less of its own vertical and more of the way we do business in general. For this reason, businesses need to pay more attention to their IT than ever before. Security, compatibility, connectivity and efficiency are the backbone of many businesses in today’s digital age, so we need to treat it with the care it deserves. Unless you have the same IT manager or provider from day 1, there is a very high chance that many different people have purchased IT products or services for your business and many different businesses have provided IT products or services to your business. Until you have one source of truth that is being managed on a regular basis, it is extremely hard to keep track of what money is being spent on the right things to assist with the improvement of your business. Keeping track of what hardware and software you are running will help you keep costs down and uptime as high as possible. Where is your data and why is it there? Many businesses either undervalue the importance of backing up data regularly and in different locations or “set and forget” automatic backups that end up failing. Although the likelihood of a fire or a robbery is low, the likelihood of a nuclear world war is much lower. Your business needs to be storing all business critical data in 3 different locations at any given time to be completely sure the business is as protected as possible from losing data that would cripple it. Automatic cloud backups are a great place to start and a weekly manual download onto an external hard drive that is taken off premise adds an additional level of assurance that your business is able to operate on Monday when you return to the office. – SSL Certificate. If you build websites you are thinking “nice one Einstein” but the reality is that this often gets overlooked when businesses are trying to DIY as much as possible. Purchasing an SSL certificate gives your website protection by encrypting it, which is essentially putting a lock on the front door. Although the better hackers can sometimes get around these, it is definitely a huge deterrent. – Router with a firewall and endpoint protection. Similar to the SSL certificate, having a firewall and endpoint protection in place adds an extra layer of protection between your business network and the internet. This will make it that much harder for anything malicious to get into your network and affect your business. – Email. While an SSL and firewall with endpoint protection will all help protect your data in different levels, it is important to understand the right email service for you and your business based on the industry you are in. If you are using an unsecured email provider you are more likely to be affected by viruses and ransomware. These 3 steps can be taken yourself if you have a bit of technical knowledge but we usually recommend having someone double check it for you. 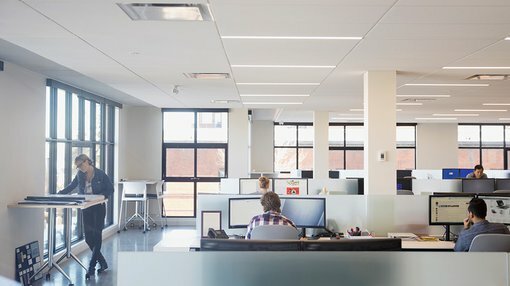 Once these 3 areas are covered, you will feel much better knowing that your business and its IP is well protected and you will also notice a drop in your IT support costs as you have taken the right preventative measures to avoid needing to call on your IT support provider to continuously put band aids on a much bigger issue.